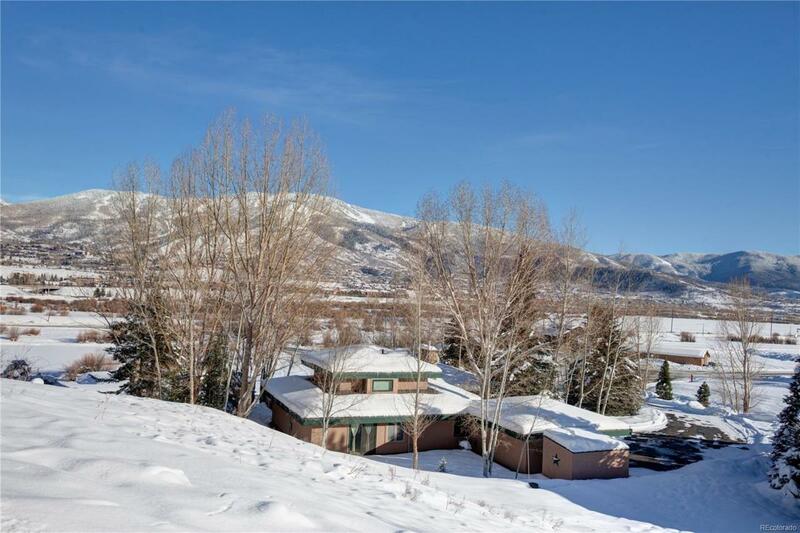 This 4+ bd, 3.5ba 2800+ sq ft furnished home has a mountain lodge feel! Just minutes the ski area and close to the river and bike path. Offering a game room, private hot tub with mountain views, and a cozy gas fireplace. Walk through a decorative glass door and into the mudroom, a cozy spot to shed your outdoor gear. Just to the left is the second bedroom. A pocket door leads to an en-suite shared bath with a gorgeous glass shower with a bench and pebble floor and a nature-inspired granite sink. Step into the hall from the bathroom and find the third bedroom to the left. Also off the hall is the open-concept kitchen plus dining area and living room. The full kitchen features a center island offering additional seating and granite counters. Access the spacious deck from the kitchen, where a hot tub and incredible mountain views await. Back inside, the living room offers big picture windows and a gas fireplace.